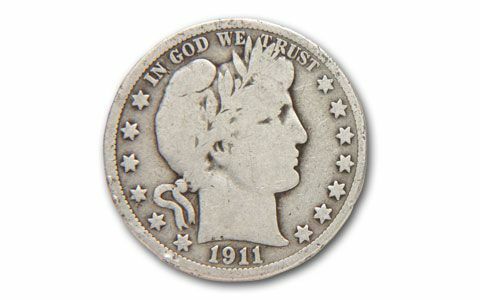 This Barber Half Dollar, minted between 1892 and 1915 is no doubt amongst the Half Dollar greats, having been designed by famed U.S. Mint engraver Charles E. Barber. 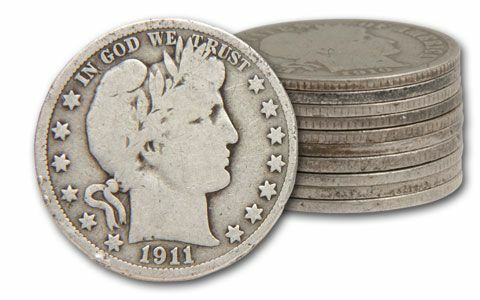 Struck in 90% fine silver, each features Lady Liberty with a crown of laurel leaves on the obverse and a heraldic eagle with shield on the reverse. 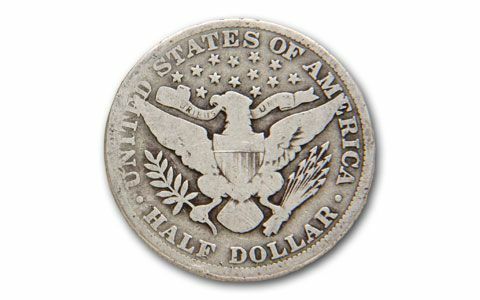 Few people thought to set these Half Dollars aside, and as a result finding nice specimens can be difficult. Almost all of these halves wore down to nothing. 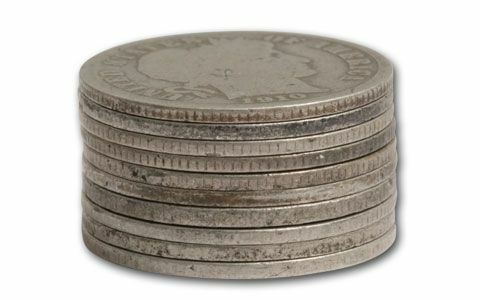 In its time, fifty cents bought a lot - and a lot was bought with these highly circulated coins. Finding them in Good (G) to Very Good (VG) condition is a treat. Order now. Dates vary.